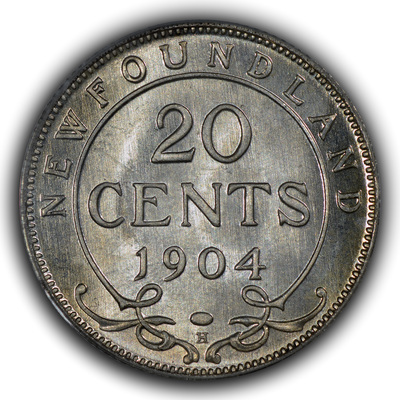 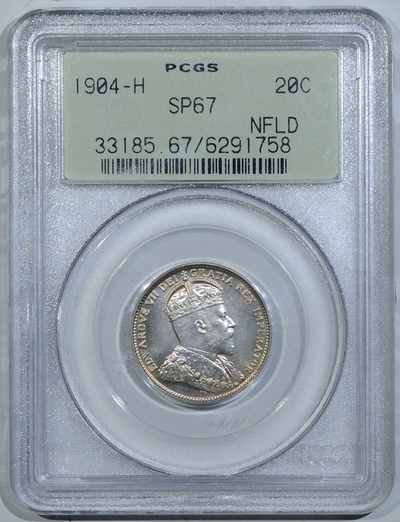 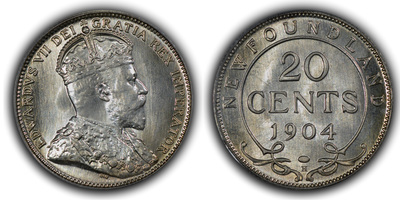 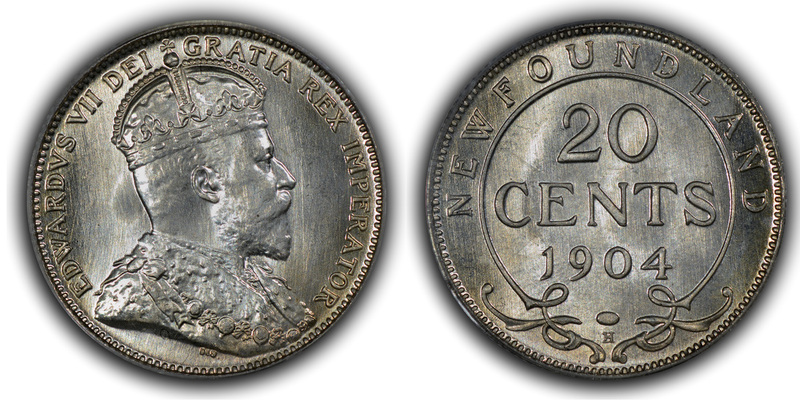 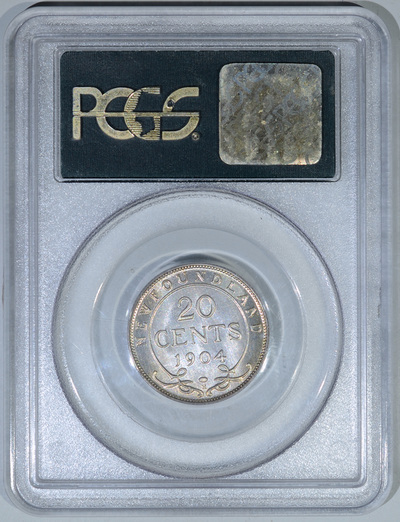 The total PCGS-certified population for the specimen 1904-H twenty-cent piece is 14-coins, but I would assume some of these are re-grades and, thus, counted more than one time. My opinion is that the true production number for this specimen striking is no more than a dozen pieces. 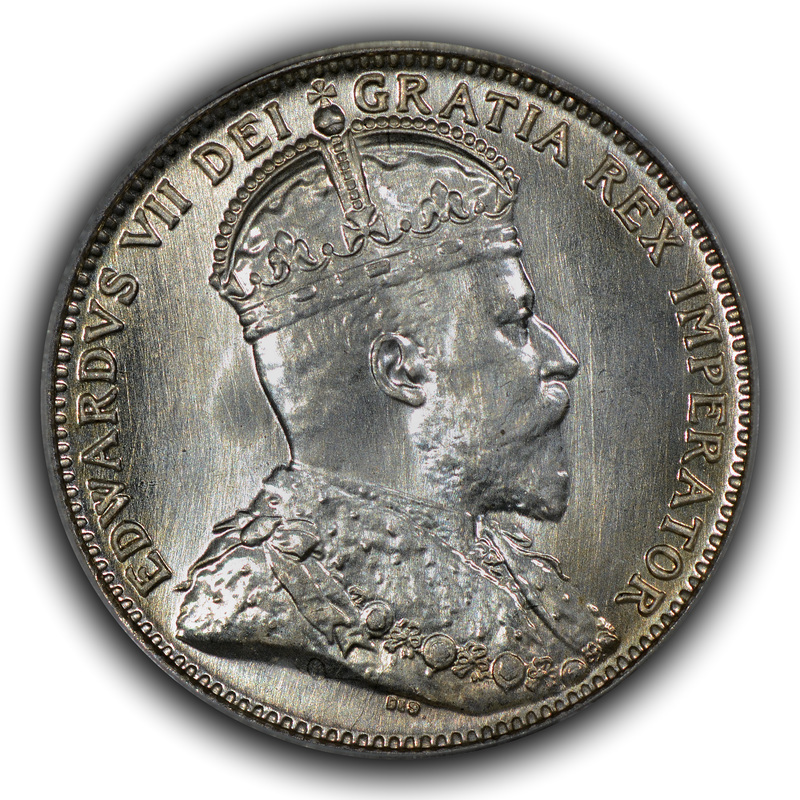 The source for all the specimen strikes is the Heaton Mint Cabinet (alternatively Heaton Mint Archive or Heaton Mint Hoard) that came to be auctioned and sold privately by Paramount International from about 1975-1978. I'd also imagine that a fair few of the ultra-low mintage, specimen strike coins from around the world came from these sales.